As the traditional options trading have been replaced by the dominance of digital options trading, a growing number of online brokers became prevalent in the industry. Much has been said and these brokers have done lots of ways to attract more online traders. But there’s one certain broker that provides everything you search for an online broker, and that’s One Two Trade. It isn’t just about the guts to compete against other platforms, it’s all about how we put a premium in our services. The question is, “why would you choose One Two Trade?” Keep on reading. The simplest platform, yet chock-full of features. Yes, you read it right. 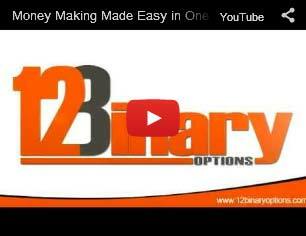 Our goal is to eradicate all the complexities of options trading thru our easy-to-use platform. We want to make online trading as easy as possible, without eliminating the powerful features to produce profits. That’s why we devised a scheme of powerful stop-loss features to maximize your earning potentials and reduce your loss. Take full advantage of our special features such as Buy Me Out, Roll Over, Double Up and 60 seconds. We always go beyond your expectations by going the extra mile to help you enhance your One Two Trade trading experience. That Cutting-edge Technology is the Key. We conceptualized and developed a simplified approach towards digital options trading, and to make sense to that, we teamed up with the experts from the software development industry. We do not only focus on the software, but the hardware specifications as well. With these achievements in mind, you’ll expect nothing but the most valuable trading experience you’ll ever imagine. One Two Trade Asset Index. Our selection of assets offers something fresh to your eyes. We cover everything from stocks, commodities, currency pairs and indices. You can also see the most traded assets shown in our homepage. Get that One Two Trade Advantage! One exciting One Two Trade bonus of being our account holder is that we offer the most reasonable payout rates in the industry. By simply predicting whether the price will rise or fall in the time of expiry, one can earn up to 85% for successful trades and up to 15% if the option closes out-of-the-money. Now here’s the catch, we’ll give you the power to control your profits. Our latest innovation, the Profit Slider tool, allows you to control your winnings as well as your rebates just in case your option did not end successfully. Now that’s one good advantage! Account Management and VIP programs. A professional dedicated account manager is designated to each and every trader to help you throughout your trading. Get immediate answers on your queries by getting in touch with our highly-skilled account managers. For VIP traders, we’re proud to introduce Privilege, our exclusive VIP membership program. All the exclusive benefits for our most loyal traders are inclusive in this membership program. For more details about Privilege, check out our website. One Two Trade Support. All the tools and information you need for a successful trade, you’ll get it here. Our support page isn’t just about the customer service, it also includes our free educational center. Our dedication to provide everything you need is endless. In fact, our support network includes one-on-one trainings, e-books, tutorials, webinars, video courses and seminars – all of these are absolutely free of charge. Should you have further questions, just give us a call, chat with us or leave us a message and we’ll help you with the best possible way that we can. We’re here for you 24/7.